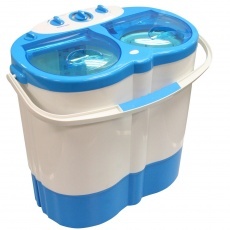 The Porta 230v camping and caravan twin tub portable washing machine is a very compact machine that has twin tubs, one tub for washing and the other tub for the spin dryer function. 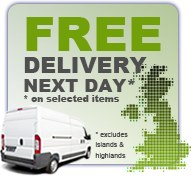 Ideal for caravan, camping, boat or barge use when mains electric is available or anywhere with limited space. Lightweight, compact and fully portable. Environmentally friendly with low power use. Easy grip ergonomically designed carry handle for full portability. 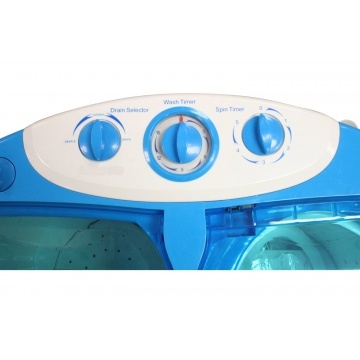 Separate timers for wash and spin dryer. Dryer and wash can be run at same time. 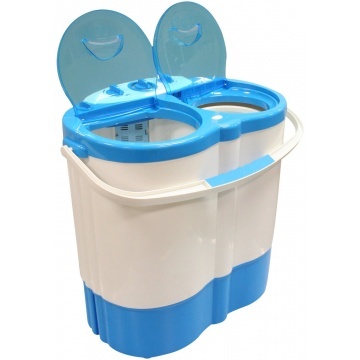 For increased safety the spin dryer will stop when the lid is opened. Modern white body and see through blue lids. 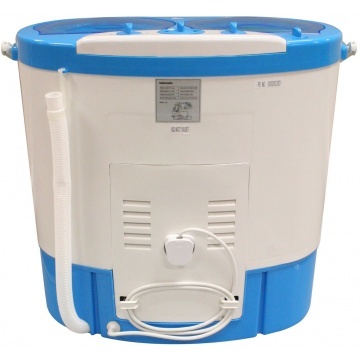 Spin dryer capacity 2.5 kg. Max current rating 3 amps.